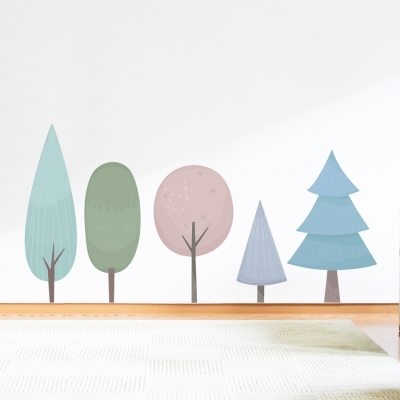 Pastel Tree Wallums Wall Decal Sticker. Add a colorful outdoor theme to your home or office with this Winter Themed Tree Wallums Wall Decal. Dimensions listed are the overall size of all five trees installed, NOT the size of each tree in the kit.